For those who relish the challenge of tournament poker, the month ahead is set to be a special one. The two biggest operators in the world of online poker are going head to head, both launching major tournament series’ at the same time, with partypoker’s guaranteeing $60 million in prizes across three weeks (2nd – 23rd September). Powerfest has been around for some time as a series, with this next instalment being the ninth. Each year, partypoker pushes the boundaries in terms of what it can offer to players in terms of tournament variety and guaranteed prizes. This year, a record-breaking $60 million is guaranteed, which is a 50% increase on the previous instalment. Events will run in triplicate with a low, medium and high buy in option, ensuring that players of all levels have a chance to get involved. This means that the total number of events stands at 670. At least fifteen of those events will guarantee $1 million. Somuchpoker readers will be pleased to hear that they can become the lucky recipients of $22 worth of free tickets if they haven’t yet signed up to partypoker. 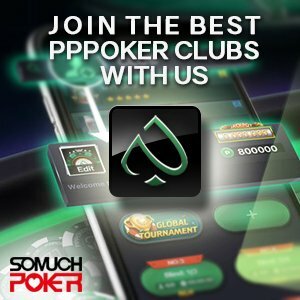 In order to collect these tickets, all players have to do is sign up through Somuchpoker and they will receive a 100% bonus up to $500, along with four free $5.50 tickets for Powerfest satellites. The offer is valid up until the time the series ends on the 23rd of September. The latest software update at partypoker has boosted the player experience just in time for Powerfest, with several new tweaks designed to optimise what partypoker offers to customers. For those who have a Windows download poker client, there will be an improved, larger design when it comes to tables. There will also be an option to customise backgrounds and table designs, better player-note capabilities and new bet sliders that give more information in a concise way. MTT buy ins will also have the option to be filtered, and Mix-Max poker will make its debut at the poker room, among other things. Through their latest updates and bold tournament offerings, partypoker continues to break new ground when it comes to improving what is on offer to poker players, and few will want to miss out on what is going to be the largest Powerfest series ever, starting on September 2nd.